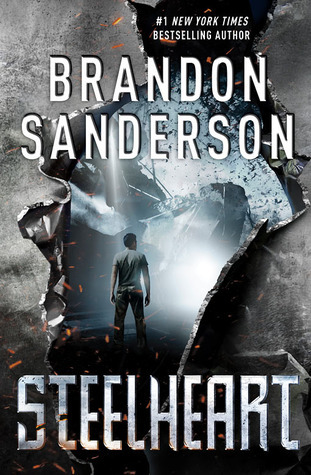 Steelheart takes place in a world after Calamity. Calamity being some form of celestial event which gave rise to superpowered individuals known as Epics. Epics live up to the motto: power corrupts and absolute power corrupts absolutely. Chicago is ruled by the Epic known as Steelheart. His power is that he can turn anything non-living into steel. He is said to be invincible, but David has seen Steelheart bleed. Steelheart bled on the same day that Chicago’s ruling Epic murdered David’s father. David has spent the years since that day planning the Epic’s downfall. The only people brave enough to fight the Epics are the Recokners. David has gathered enough information on their practices to be fairly sure of when their next hit will take place. He just has to get there, survive the fight between the Reckoners and their target, and avoid getting killed as a spy. No problem. I got an early copy of this book and it was fantastic. It does end on, not so much a cliff hanger, as a sense that you need the next book soon. Luckily, the next book is already in the works. To enter, leave a comment below telling me what superpower you’ve always wanted. Hi Stephanie, you won the Steelheart giveaway! Please email your address to medusasmirror@gmail.com and I’ll get your book in the mail. Thanks! Flight is my kind of thing. I always love dreaming about it and to be able to be free like that would be beautiful. I have always wanted invisibility. You can eavesdrop AND you can escape awkward social situations!